Nino Alejandro, 37 years old from Paranaque City came from a very musical family. He is the nephew of Haji Alejandro who is said to be an OPM music icon. With regards to his job, Nino said that he is a full time dad to his 3-year-old daughter Isabella. Since he has a band, in the evening, they play in different clubs along the metro. Nino is a family-oriented guy and he also confessed that everything he does, whether in music or anything else, he does this for his family. While at the backstage with host Alex Gonzaga, Nino’s wife had a message for him. His wife bid him luck and she explained that Nino had an extreme and concrete love and passion for music. Before going to the limelight, Nino said that his surname has an advantage and disadvantage. This is due to the fact that he was pressured to do his best knowing the fact that there was high expectation for him. It was both a motivation and pressure. With his electric guitar, Nino started strumming the beginning of the song “Highway to Hell” that instantly caught the attention of the coaches. 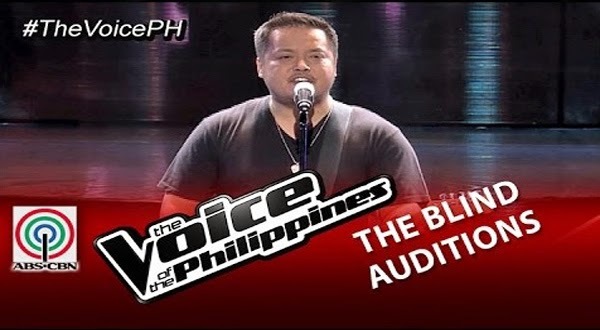 His powerful voice made Coach Lea push the red button first and go crazy about his performance. Next to turn were Coaches Sarah and apl.d.ap. Nino’s performance went wild when there were already three coaches fronting him. Coach Bamboo was convinced in the end to turn that made Nino a 4-chair-turner. The four coaches did their best to have him in their team but in the end, Nino settled for Coach Lea believing that she could lead him to the kind of level of musical skill that she’d ever wanted.